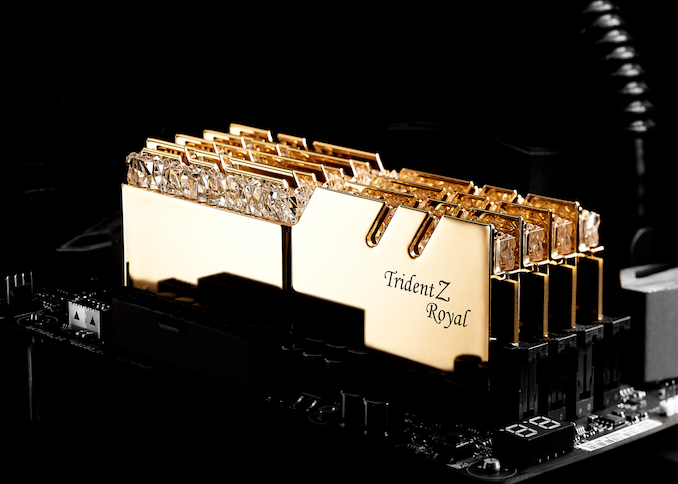 G.Skill this week has officially introduced its Trident Z Royal family of memory modules. 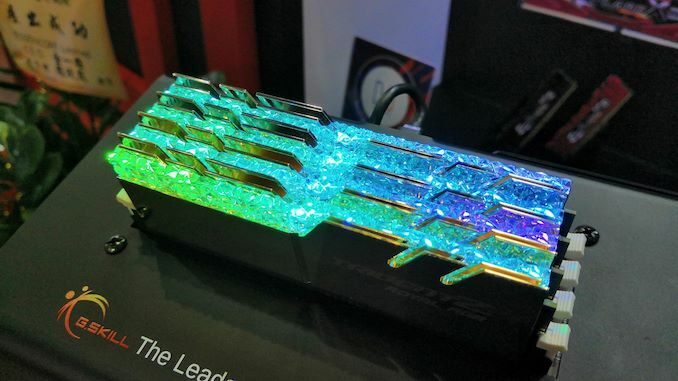 This memory featuring crystalline light bars with RGB lighting and polished heat spreaders. The modules will be available at various speed bins with a maximum data transfer rate of up to DDR4-4600. G.Skill’s Trident Z Royal memory modules will feature 8 GB and 16 GB capacities and will be available in dual-channel and quad-channel kits. 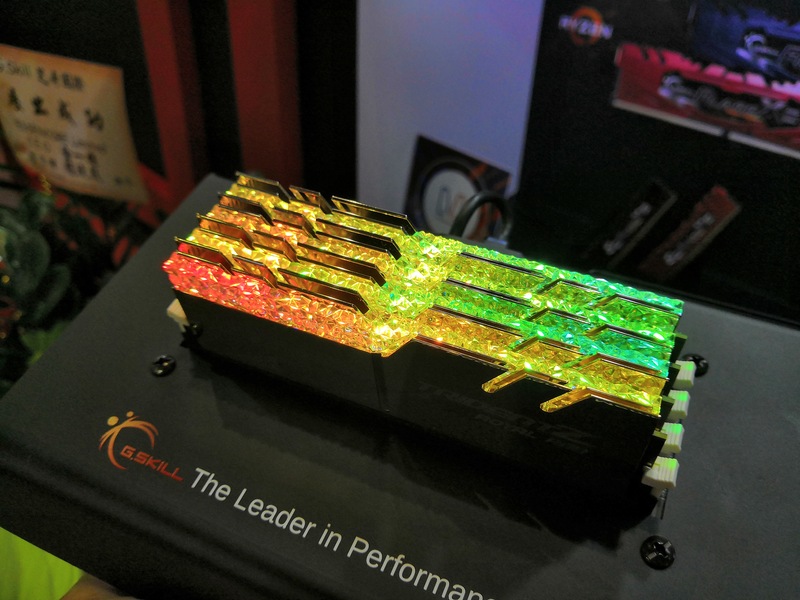 The product family will include DDR4-3000, DDR4-3200, DDR4-3600, DDR4-4000, DDR4-4266, DDR4-4400, and DDR4-4600 speed bins at 1.35 V, 1.4 V, 1,45 V and 1.5 V. Being aimed at enthusiasts and overclockers, G.Skill’s Trident Z Royal will rely on the company’s PCBs designed in house. The key feature of the Trident Z Royal memory modules is crystalline RGB lightbar with multiple lighting zones as well as polished silver or gold heat spreaders. Since the lightbar is unique, G.Skill will provide a special software to control it. The program will be available for download from G.Skill’s website once the modules hit the market. G.Skill plans to start selling its Trident Z Royal memory modules in December, but as usual the company does not pre-announce pricing. One thing for sure is that the Trident Z Royal memory modules will carry a premium price tag because of the unique design.